Ons Jabeur would love to become the ‘Naomi Osaka of Africa’ as the Tunisian hopes to inspire a young generation of Arab and African players to follow in her footsteps, the same way the Japanese world No. 1 is making waves for Asian tennis. Jabeur, who upset world No. 25 Donna Vekic 6-4, 7-6(9) on Monday to set up a Dubai second round against No. 6 seed Elina Svitolina on Tuesday, is the highest ranked Arab woman in history, currently standing at 56 in the world. She became the first Arab female to win a junior Grand Slam title when she lifted the girls’ singles trophy at Roland Garros in 2011, and later became the first Arab woman to reach the third round of a major, thanks to her exploits at the French Open in 2017. Last October in Moscow, the 24-year-old from Sousse made history for the region once again, when she became the first Arab woman to feature in a final of a WTA tournament. Jabeur is the only Arab woman ranked in the top-400, and is just the second to ever crack the top-100, after her compatriot Selima Sfar, who peaked at No. 75 in the world back in 2001. 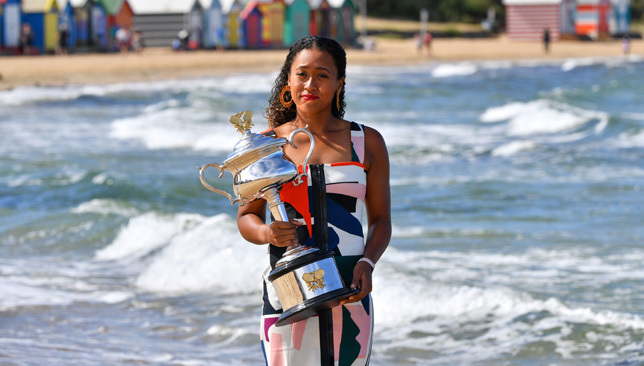 With 21-year-old Naomi Osaka currently blazing a trail as Asia’s first-ever world No. 1, Jabeur was asked if she hopes to serve as a beacon for Africa in a similar manner. “I’m now the Naomi Osaka of Africa?” asked Jabeur with a laugh, following her first round success over Vekic. “Yeah, it’s inspiring to see how players can inspire a country or a continent. For me, I’m really happy to represent Tunisia. I’m trying to give my best, to behave good on the court, to try to give good example for the young generation who want to achieve what I’m doing right now. Jabeur and Osaka both played the WTA Rising Stars event in Singapore in 2015. While they are both known for their sense of humour, Jabeur is far more outgoing than the typically shy Osaka, who had told reporters in Beijing last October that she was grateful for Jabeur’s funny interactions with her back then, especially considering how introverted she was. “For me, the Singapore is Ons,” Osaka said with a laugh, reflecting on that 2015 event. Jabeur said of Osaka: “I joke with everyone. She was so shy. She still is. She respects me. I love that about any player. When I see someone shy, I don’t leave them alone, that’s me. Despite her match being scheduled at 11:00am on a Monday in Dubai, there was a loud group of Tunisian supporters in the stands cheering on Jabeur. “I always say Tunisians are everywhere. In Japan one time, I won there, there were some Tunisians,” she said with a chuckle. Jabeur’s journey to where she is right now, on the brink of the top-50, has been an arduous one, mainly due to the fact that she barely had any role models from the region to guide her. She hopes to become that person for others in the Arab world, to aid them in finding the right path to success on the professional tennis tour. “To find someone who can guide you to the top level – because it’s really tough to be here – I think it’s the most important thing,” she explained. “That’s why I want to share my experience. I want to, like, give this to the kids who don’t have to go through what I went through, so I can save them some time or I can share my experience. It’s going to be really helpful. “Either in Tunisia or Africa, I’m really happy to do it. I hope after my career I can help this young generation. Now I’m trying to do a little bit. I’m 24, but when we played Fed Cup in Luxembourg, it was fun. There were two girls younger than me. I felt like a leader there, and I loved it. It was nice to give advice to these young girls. Following her press conference on Monday, Jabeur returned to the court and won her doubles match alongside American Alison Riske against Andreja Klepac and Zheng Saisai. Jabeur and Riske reached the doubles semi-finals in Doha last week and the North African believes playing more doubles will greatly benefit her singles game. She is scheduled to face two-time defending champion Svitolina on centre court on Tuesday (second from an 11:00am start), in a rematch of their 2010 French Open junior final. Their most recent meeting came in Taipei two years ago, where Svitolina saved four match points before advancing to the semis at the expense of Jabeur. All top eight seeds are in action on Tuesday, with Osaka facing Frenchwoman Kristina Mladenovic at 19:00 local time. It will be the Japanese’s first appearance as world No. 1 and first since her surprise split with her coach Sascha Bajin. Third-seeded Simona Halep, the 2015 champion takes on Canadian Eugenie Bouchard while second-seeded Petra Kvitova, who won the title here in 2013, squares off against her fellow Czech Katerina Siniakova. World No. 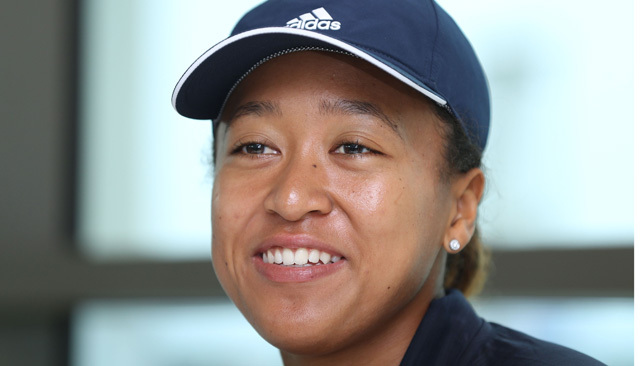 1 Naomi Osaka revealed on Sunday at the Dubai Duty Free Tennis Championships that her surprise split with her coach Sascha Bajin was not for financial reasons, adding that it was “hurtful” to hear such rumours circulating. Osaka’s successful 13-month partnership with Bajin, that saw her win two Grand Slams and rise to the top of the world rankings, came to an end earlier this month when the Japanese star announced via social media that they would no longer be working together. The 21-year-old did not elaborate on the reasons behind her decision but assured it was not financially-driven. “Everyone thinks it was a money-related issue, but it wasn’t. For me, that’s one of the most hurtful things I’ve ever heard. I travel with everyone on my team, I see them more than my family. I would never do that to them,” Osaka told reporters on Sunday at the Jumeirah Creekside hotel in Dubai. Osaka was referring to the tournament in Charleston last year that came on the heels of her first career title at Indian Wells. Following her loss to Julia Goerges in Charleston, she had said that she woke up the previous day feeling “depressed” and she wasn’t sure why. The freshly-crowned Australian Open champion did not say much more on the matter but made sure to pay tribute to Bajin and the work he put in during their partnership. “I’m not going to say anything bad about him because, of course, I’m really grateful for all the things that he’s done. Yeah, I wouldn’t just come here and say anything bad,” she added. 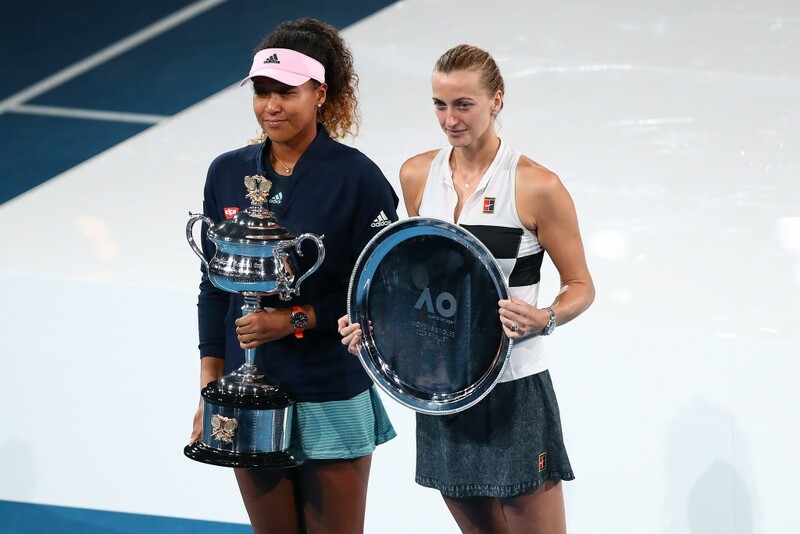 The three reigning Grand Slam champions – Osaka, Simona Halep and Angelique Kerber, have all parted ways with their coaches, for different reasons, since they’ve won their respective majors. For Osaka, she says her decision was not as sudden as it may seem. Making her first appearance as world No.1 in Dubai, Osaka is joined by her father, her fitness trainer Abdul Sillah, her trainer Kristy Stahr – whom she refers to as “Miss Super Star” – and Japanese coach Masashi Yoshikawa. She says she will start her search for a new coach after Dubai, noting that arriving to Indian Wells, where she is the defending champion, without a coach is “not ideal”. Asked what she’ll be looking for in a coach moving forward, Osaka responded: “For me, just to have a positive mindset. I don’t want someone that’s in the box saying negative stuff. That would be the worst. Osaka seemed in a cheerful mood and looked comfortable discussing the topic. She will face Kristina Mladenovic in her opening match in Dubai. She has been spotted hitting with Yoshikawa on centre court and says the back injury that forced her out of Doha has subsided. “Yoshikawa-san is not really my coach-coach. He’s just been helping me since I was 16. He’s one of the people that knows my game the most. He’s always around at certain tournaments, he’s always helping. I thought it would be a good idea for him to come here since I’m sort of stuck right now. This is the one tournament that I think I need someone around that’s very helpful,” said Osaka, who made the quarter-finals in Dubai last year. 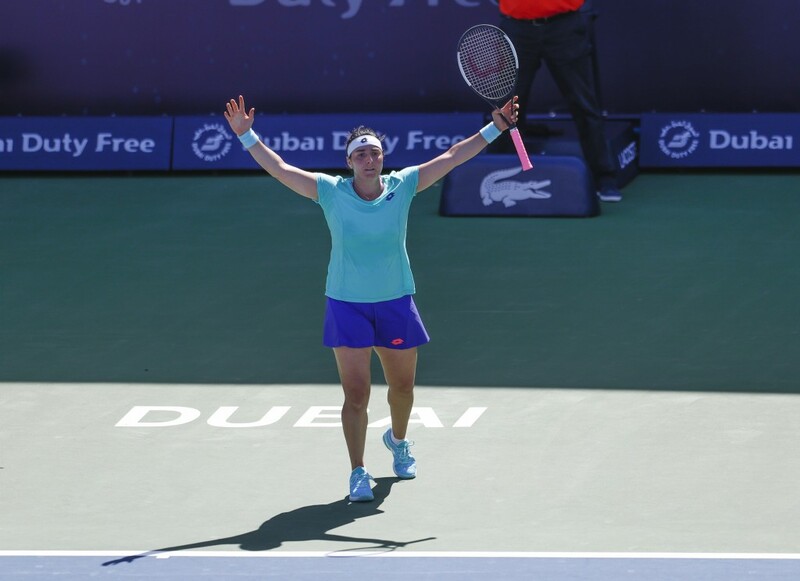 The 19th edition of the Dubai Duty Free Tennis Championships WTA tournament kicks off on Sunday with the strongest field the event has ever witnessed. Here’s a look at the main talking points following the draw reveal in Garhoud on Saturday. Nine of the world’s top-10 will be in action in Dubai over the next seven days, with Sloane Stephens being the only absentee from that ranking bracket. The field is headlined by world No. 1 Naomi Osaka, and includes five former Dubai champions. Wildcards were handed to ex-Wimbledon runner-up Eugenie Bouchard, 2016 Dubai winner Sara Errani, former US Open champion Sam Stosur, and Oman’s Fatma Al Nabhani, who is the Gulf region’s first female professional player. Osaka will be playing her first event as world No. 1 and her first since her surprise split with her coach Sascha Bajin, who helped guide her to back-to-back Grand Slam triumphs at the US and Australian Opens. The Japanese star is yet to reveal the reasons behind her decision to part ways with Bajin, but will sit with media in Dubai on Sunday, where she will no doubt be quizzed on the subject. The top spot will not be up for grabs in Dubai, as Osaka has secured her place at the summit through Indian Wells. Fresh from her runner-up showing at the Australian Open, Petra Kvitova will make her first Dubai appearance since 2016. After the final in Melbourne, the Czech world No. 2 had to testify against the man who attacked her with a knife in her apartment, recounting the traumatic life-threatening experience that left her with nerve damage in all five fingers of her left playing hand. “I’m not sure any day that I’ll be completely over that. I’m glad that this one’s over,” she said in Dubai on Saturday, referring to her testimony in court. Kvitova, a winner in Dubai in 2013, played her first Grand Slam final on a surface other than grass, at the Australian Open last month. She won 11 matches in a row Down Under, winning the title in Sydney before reaching the championship decider in Melbourne. “Finally I’m getting over it [the loss in the final] so I can really say it was a good one. It was kind of painful after the final but overall it was a great start to the year so I’m very happy about that,” said Kvitova, who opens her Dubai campaign against either Petra Martic or Katerina Siniakova in the second round. 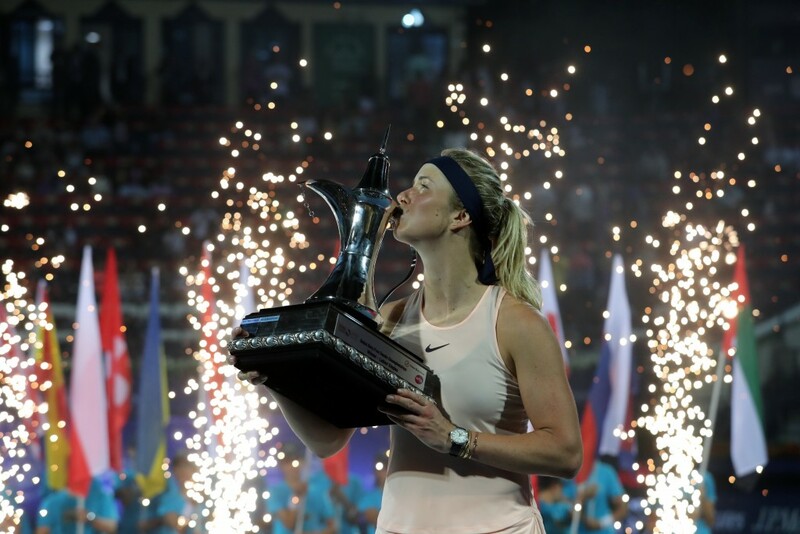 Elina Svitolina is the two-time defending champion in Dubai and is looking to become the first woman to win three successive titles in the Emirates. The Ukrainian lost to Simona Halep in the Doha semis on Friday and begins her Dubai journey against either Ons Jabeur or Donna Vekic. Last year’s Dubai runner-up Daria Kasatkina had a fantastic week here in 2018, where she saved match points against Johanna Konta and Garbine Muguruza en route to the final. After cracking the top-10 for the first time end of last season, Kasatkina started 2019 with a disappointing 0-4 start before claiming a win in Russia’s Fed Cup tie against Denmark. Will she finally get her first tour-win of the year in Dubai this upcoming week?